the tools for success in what has become a crowded and competitive field. 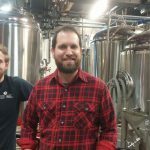 Brewer Kyle Acenowr, another young guy with boundless enthusiasm, makes the beer. The compact ten barrel brewing system in the clean industrial space is his domain. 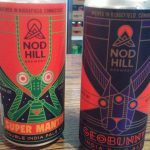 Working with a variety of malts, hops and yeasts he brews up a wide range of delicious European and American-style beers. 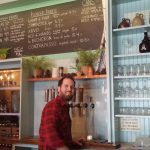 Just open for 5 months, Kyle has already brewed 25 different beers. 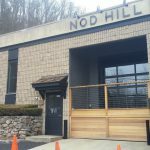 The inviting tap room at Nod Hill is open Thursday through Sunday. 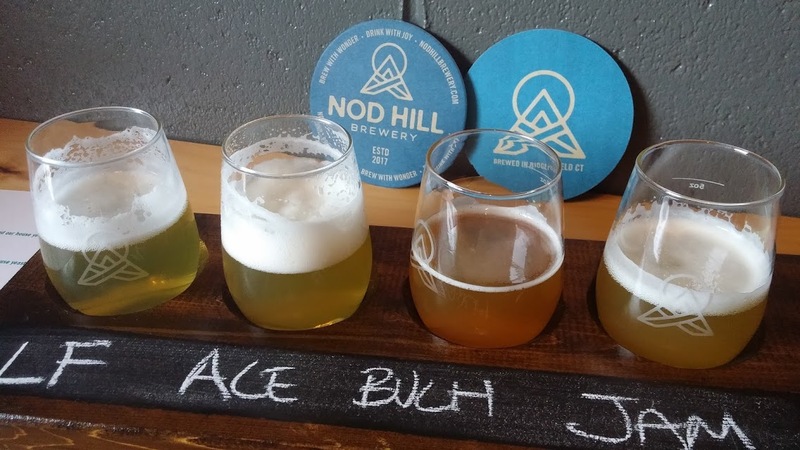 Start with a flight of four from the current “On Tap” list to get a sense of the range of styles available. Then settle on a glass of your favorite or continue with more tasting. 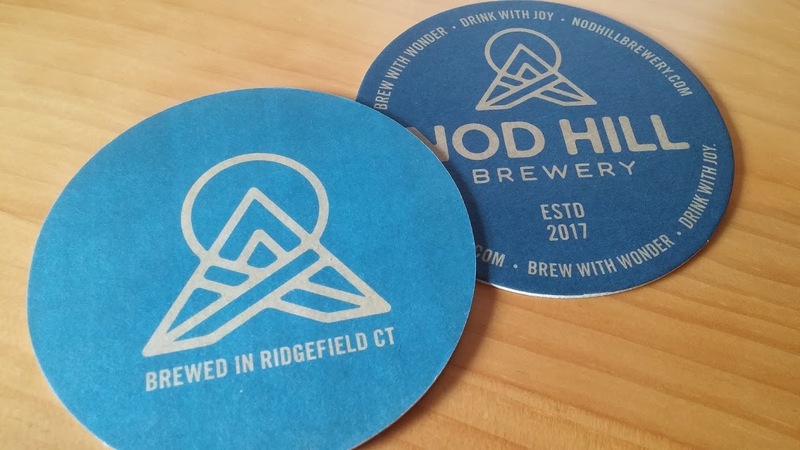 There are at least 70 independent breweries in Connecticut and more are planned. It’s a far cry from the time when a handful of national and regional brewers dominated the market, and the most exotic beer you could hope for on the East Coast was Coor’s from Colorado. When Jim Koch opened the Boston Brewing Co in 1984, New England discovered Sam Adams’ flavorful Boston Lager and the craft beer boom was on. 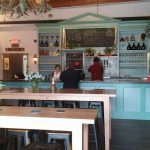 On our early evening visit, we tasted through all six taps in the beautifully designed, colorful and welcoming tap room. 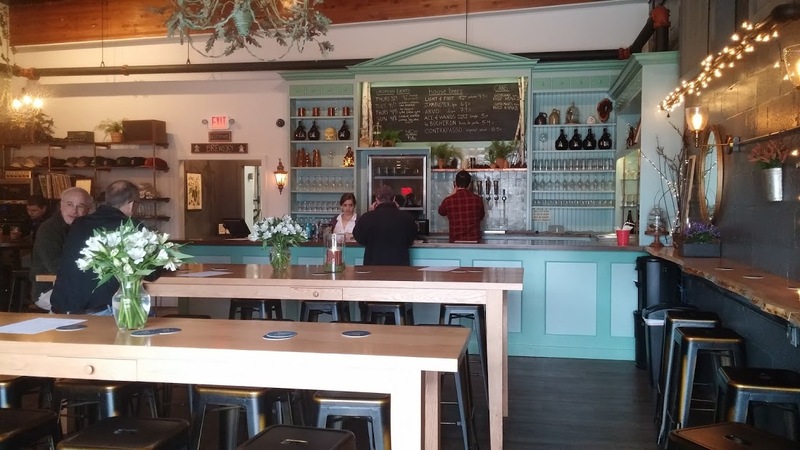 From the blond, high-top tables you can peek into the gleaming brewery. Step up to the attractive custom-made bar, pick your beers from the blackboard, and get started. 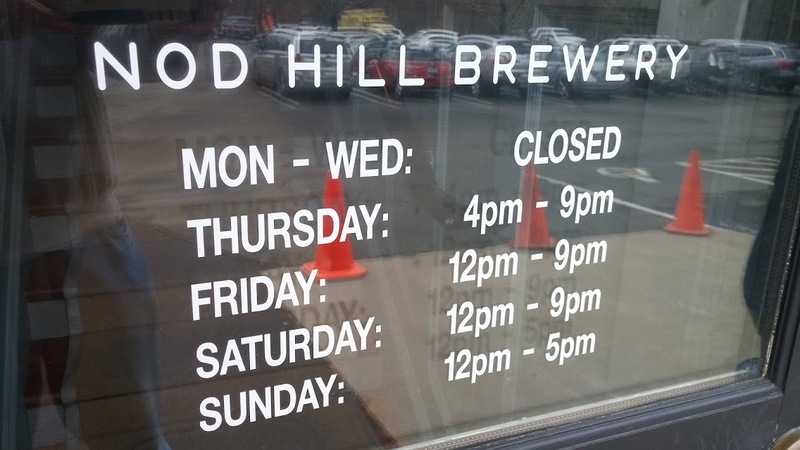 You can’t be a craft brewer in New England without a repertoire of IPAs. Originally, India Pale Ale was generously hopped as a natural preservative for the voyage from England to the subcontinent. New England IPAs have evolved into sharp, citrusy, hop-forward beers with little or no malt and a cloudy appearance. It’s the style that makes beer fans line up. Jambuster IPA’s balanced citrus finish is tamed with oats. Arvo, a double IPA (7.9% alcohol vs Jambuster at 6.1%) is a classic cloudy New England IPA with bright floral hops and zesty citrus flavors. I’ll take either one any day. Dark beers are also popular these days, and the Nod Hill Contrapasso Russian imperial stout is an excellent example. The chocolate-coffee aroma and rich malty mouth feel all end with a surprisingly lingering, clean, and refreshing finish. It packs a punch at 10.5% alcohol. Prices vary with the beer and size: a 5 oz. taste $3 to $4, 12 oz. 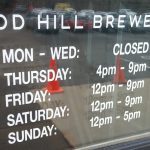 ; glass $5 to $7; or bring a clean 2 liter growler for filling $14 – $18. 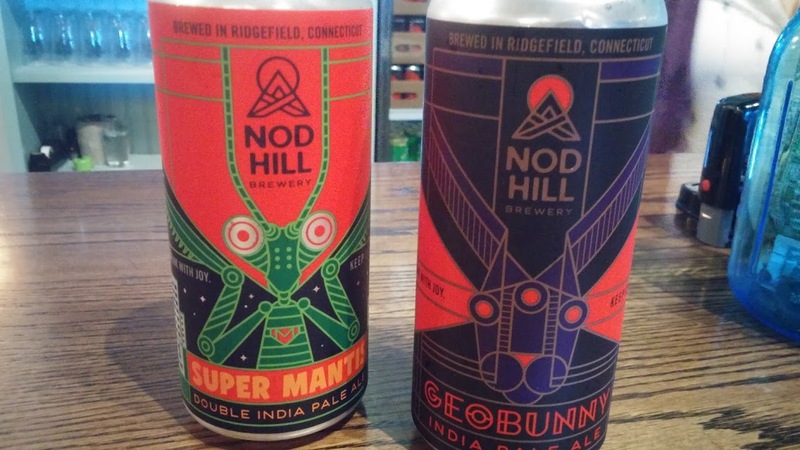 You can also buy cans of their popular IPAs – Geo Bunny, $7 or Super Mantis double, $8 – to drink in or take home. Cheese ($16) or cheese and charcuterie ($26) plates prepared by 109 Cheese and Wine in Ridgefield are available along with bagged snacks. For hot food, Dave encourages you to order in. John’s Best Pizza and Planet Pizza will deliver, or pick something up on your way. 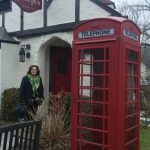 With David’s contacts in the local music scene, there’s often entertainment after 7:00. 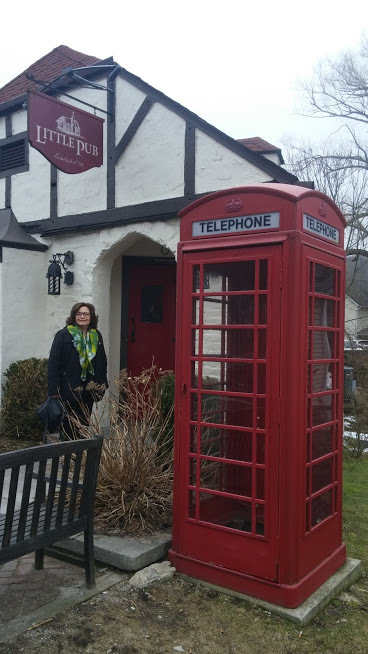 We opted for dinner after our tasting just down Rt-7 at the always-popular Little Pub. 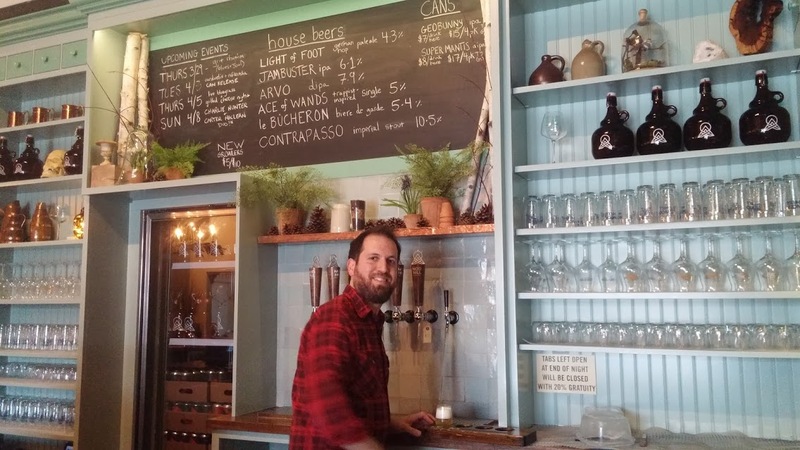 There’s an extensive list of beers in bottle or on tap and an even longer menu. Lead by a long list of creative burgers, the menu includes salads, sandwiches, small plates, and pub fare. Fish and chips and fish tacos for us. 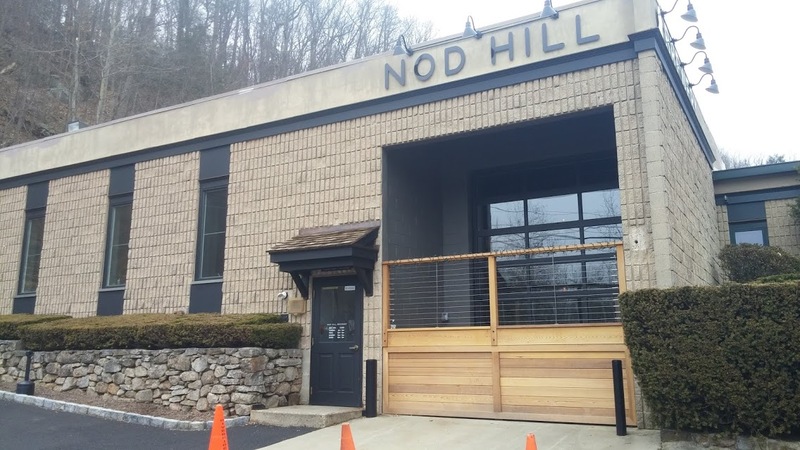 Our server mentioned there are frequent take-out orders picked up on the way to Nod Hill. 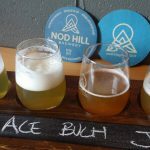 Nod Hill seems to have hit a sweet spot with a great location, delicious beers, and an inviting atmosphere. 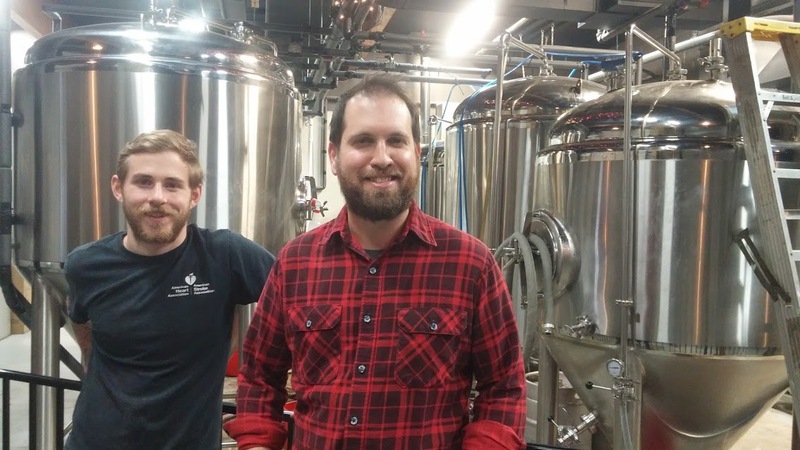 The beers and the comfortable tap room have found a devoted following.